home → Loans → Student Loans → Is AES Student Loan Consolidation Right for You? Is AES Student Loan Consolidation Right for You? AES stands for American Education Services, and an AES student loan is the primary student loan servicing companies in the country. They are a very large company that offer several benefits to their customers. While they can be beneficial, their services are not free. Therefore, you need to compare the costs versus the benefits when considering consolidating your student loans with AES. Here are a few things to think about on the matter. The first thing to determine is whether or not you are eligible to consolidate. In most cases, the answer is yes. They do not check your credit or verify income, so this should not preclude anyone. You have to be done with your classes in order to take advantage of this program. The loans have to be federal loans in order to qualify for this program as well. This also has to be your first attempt at consolidation with this program. There are several benefits to using the AES student loan consolidation program. Here are a few advantages that you will want to consider. Low payments- When you consolidate several student loans, your monthly payment will undoubtedly be smaller. You will be financing the loans over a longer period of time which makes your monthly obligations smaller. This can add flexibility to your monthly budget and help in a number of ways. 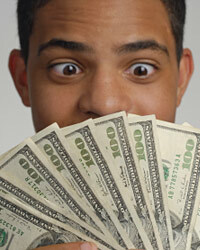 Single payment- When you do not consolidate your loans, you will have to make several different payments every month. This can be confusing for many people and result in missed payments. Fixed interest- With this type of program you will get a fixed interest rate for the life of the loan. Some student loans have adjustable rates which can add risk. No limit on number of loans- Even if you have several different student loans from multiple years in college, you can consolidate them all into this type of loan. Extended time frame- When you use this method, the amount of time that you have to pay everything back will be longer. While the program can be great for some, it is not without some drawbacks. Here are a few things to keep in mind. More interest- When you finance something over a longer period of time, you will definitely pay much more money in interest. If you are looking at the big picture, you will be paying quite a bit more money than you would if you just paid the loans off as they are. Lose subsidies- With the Perkins loan program, you could be receiving deferment subsidies on the interest. When you consolidate the loans into an AES loan, you will immediately lose this subsidy. Therefore, you will start having to pay the interest out of your pocket.